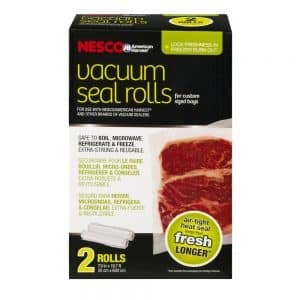 Nesco American Harvest Vacuum Seal Rolls For Custom Sized Bags. Extra-strong & reusable. Safe to boil, microwave, refrigerate & freeze. Vacuum sealing extracts the air and provides a moisture barrier so your food will stay fresh and last longer. 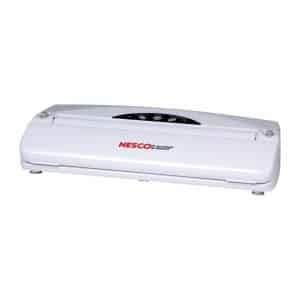 Specially designed to lock in freshness and flavor by keeping air, moisture and odors out. Air-tight heat seal keeps food fresh longer. Use this rolls to reduce food spoilage, minimizing storage space, avoid leaks in luggage, prevent freezer burn, protect documents & jewelry and keep silver from tarnishing. 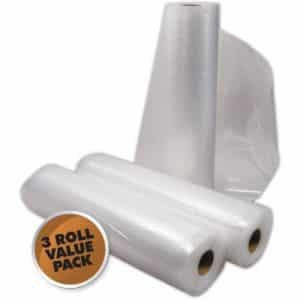 This 3 Pack of Weston Vacuum Sealer Rolls is manufactured by one of the most trusted names in commercial grade packaging products in the world. 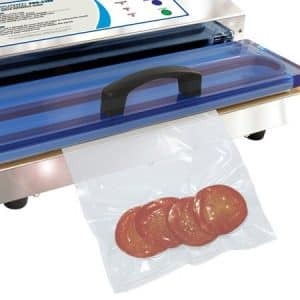 Found to be compatible with most leading brand vacuum sealers available today, these heavy duty bags are designed to have air-removal channels to preserve even perishable items’ freshness for a long time. 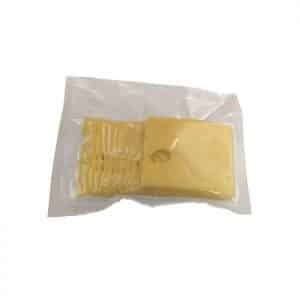 These 22″ x 8″ vacuum bag rolls are two ply and 3.0 millimeters thick to ensure that they do not puncture easily. Its BPA-free feature also ensures that food items packaged remain safe for consumption. Materials used are FDA-listed and certified as food-safe. You can actually simmer or microwave food right in the bag; just make a small puncture in it right before warming cooked food or defrosting in the microwave. 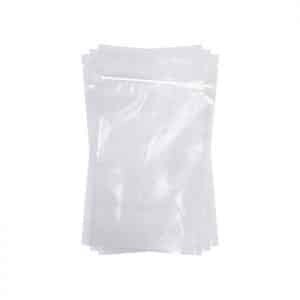 Suitable for use with both food and non-food items, these bags can be used to preserve collectibles, valuable documents, different kinds of silver and even electronic items. Ever store a big batch of jerky in a vacuum sealer bag only to open it, take out a few pieces, and have to get out the vacuum sealer again? 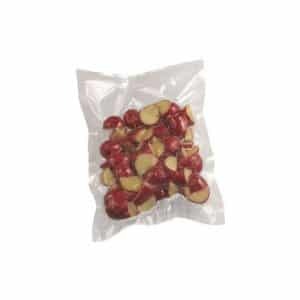 These Zipper Seal Vacuum Bags allow you to vacuum seal, open, use, zip back up, and store for maximum freshness, flavor, and nutrition! These heavy-duty bags work just as well as our traditional vac bags, plus you have the benefit of the zipper. Now you can store your items long term, open them, and continue to store what you don’t use for the short term! *A small puncture in the Vacuum Bag is required before warming cooked foods or defrosting foods in the microwave. When simmering food in a Vacuum Bag, closely monitor that the pot has plenty of water and the Vacuum Bag is not in direct contact with the bottom of the pot. 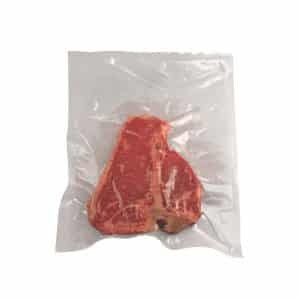 Do not re-use Vacuum Bags after storing raw meats, greasy foods or fish. Do not re-use Vacuum Bags after microwaving or steaming. Do not use the Vacuum Bags in the oven or broiler.